Cook the pasta as per the packet instructions, drain and cool. In a big mixing bowl, add all the ingredients and mix well. Adjust the seasonings according to your taste. Chill for half and hour and Serve. 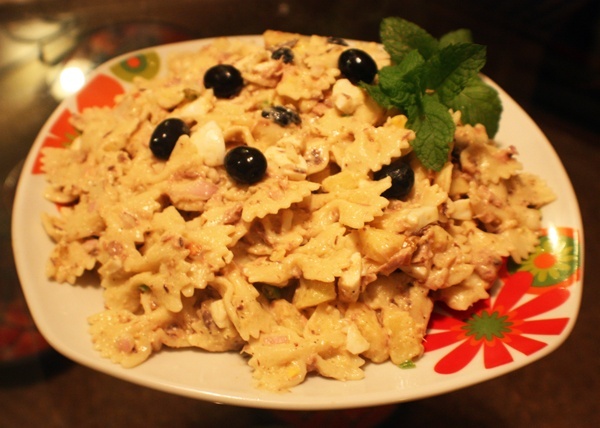 This entry was posted in All Recipes, Pasta, Salads, Sea Food and tagged Tuna & Pasta Salad by Kamakshi. Bookmark the permalink.